my travels bring me further away from europe in to a country that is popular for its spirituality. it is a meeting point of culture, myths, poverty and pollution. india, a place where adventure travellers come to find something meaningful; something that defines rationalism and clear structures. i am searching for the art of yoga in a permaculture environment. 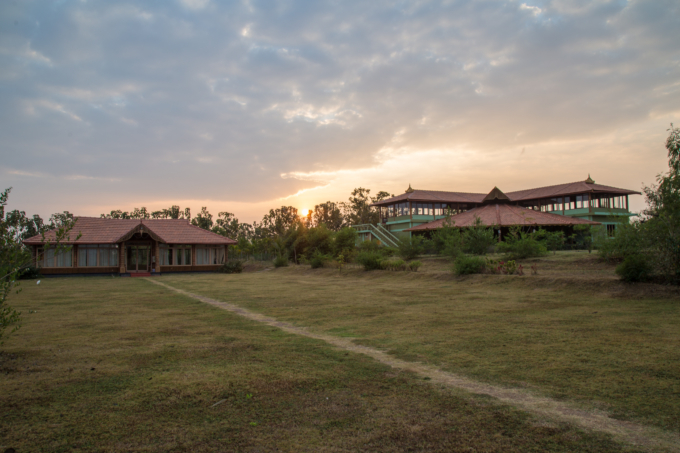 a friend of mine inspired me to have a look on the website of ayuryoga ecoashram, that is situated in south india close to mysore. she told me with a great smile and excitement, that she is planning to take part in a yoga teacher training for one month at the beginning of the new year. it clicked in my head as she told me, that they are doing permaculture. i knew immediately that i must partake on this journey. so i interrupt my research travel in europe to look for a contrast on another continent. i flew to india and met my friend there. 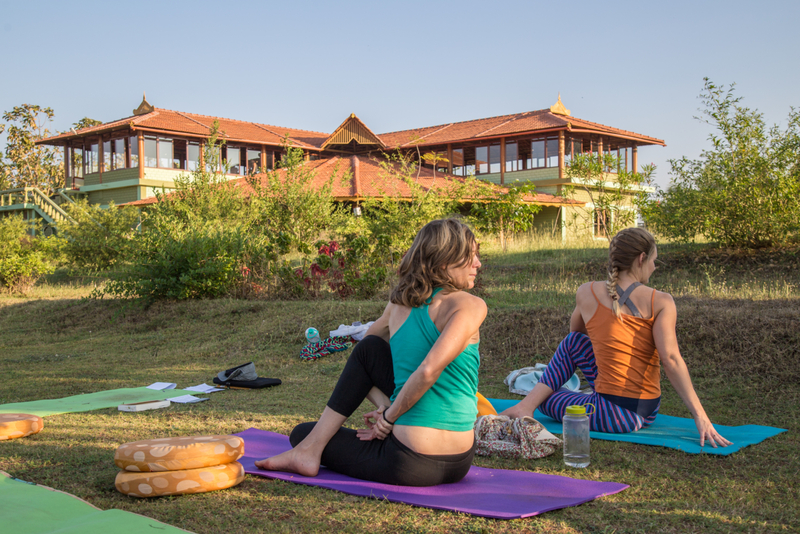 ayuryoga ecoashram is an 18 acre riverside organic farm in a peaceful countryside, between mysore and kerala, india. they offer spiritual retreats taught by traditional teachers of hatha yoga, pranayamas, meditation, yoga philosophy, ayurveda & ecology. 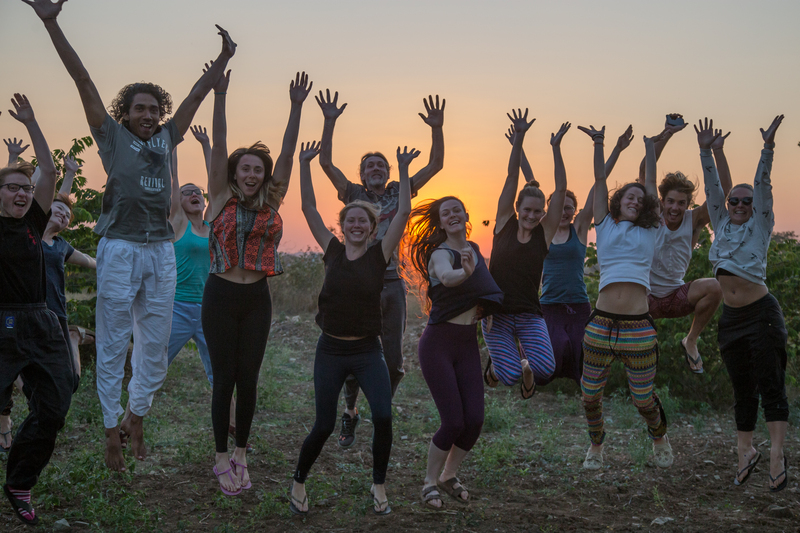 the ashram is a platform for the spiritual teachers with backgrounds in traditional monasteries and ashrams, to connect with international students who are ready to explore yoga beyond the mat. in addition to physical practices, there is a philosophy shared to live a dynamic life with a peaceful heart and wisdom to love. in the beginning i expected a very physical training with a healthy diet in a place, where people take good care of the environment. but, i found so much more than that. something connecting and charging. everyday we woke up at 5:30 to meditate. 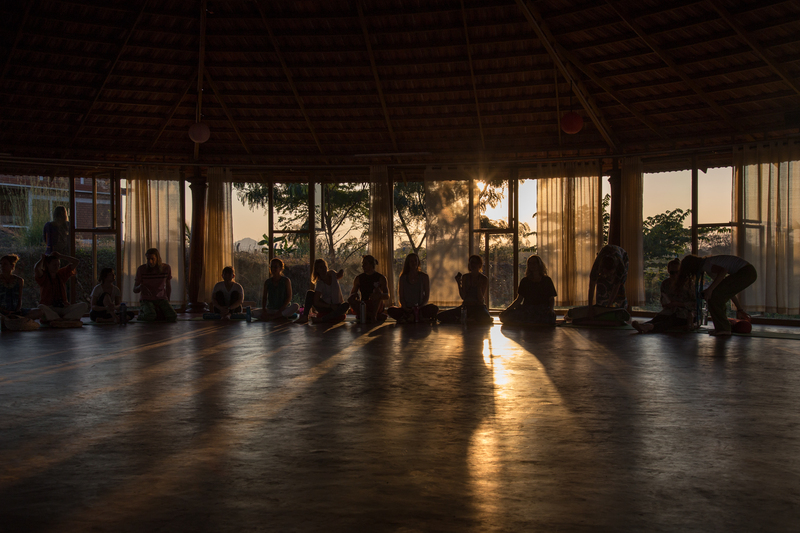 at 7 o´clock we partook two hour yoga class prepared us physically and mentally for the day. this was followed by a huge breakfast, almost like lunch. 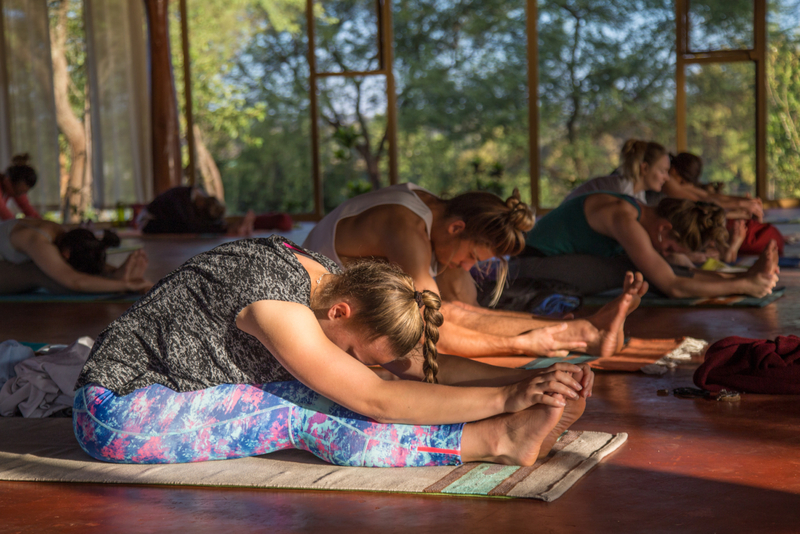 then there was four hours of theory classes in which we learnt about anatomy of the human body, to understand how yoga works on a physical level, teachings about ayurveda (indian medicine), the different types of yoga and yoga philosophy. all these teachings where unexpected, but a very welcomed lesson to understand the meaning of the “i” and the idea of life in vedic tradition. the universe is conceptualized as a duality in yoga school: puruṣa (consciousness) and prakṛti (matter). a key text of the yoga school is the yoga sutras of patanjali. patanjali is the author or representative of the yoga-philosophy without being necessarily the author of the sutras. philosophy recognizes many types of yoga, such as rāja yoga, jnana yoga, karma yoga, bhakti yoga, tantra yoga, mantra yoga and hatha yoga. it suggests that systematic practice (personal experimentation) combined with samkhya’s approach to knowledge is the path to samadhi, a state of meditative consciousness. the meditative absorption or trance, the mind becomes still; a state of being totally aware of the present moment. the yoga philosophy states that liberation/freedom in this life is achievable. this occurs when an individual fully understands and realizes the equivalence of atman (the self) and brahman (god). god is living in everything. the i is god – god is the self. the teachings where delivered by a very funny and inspiring swami, which according to the sanskrit root of the word means “one who is one with his self”. he is an ascetic who has given away all his belongings and almost like a monk preaches the tradition of yoga. he is living free from money, payed work and relationship. these teachings made me wonder how yoga and spirituality are connected with permaculture and ecology; what can i take from this place as an inspiration and how is the ashram combining all this? 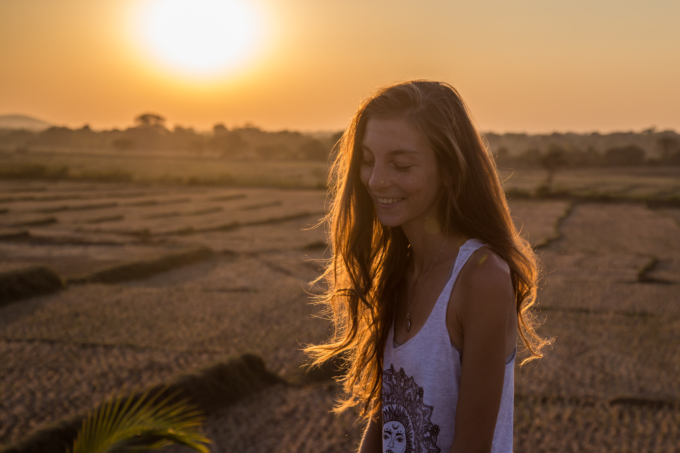 after you experience a close connection with one´s self, taking time to fully recognize the inner self without disturbance and stress, can help us to understand also our outside world better. we can see things from a different angle, understand why someone acts in a certain way, how we can relate to it and develop compassion and insight. it is necessary to find orientation and clarity rather than meaningless facts. it is important to talk about values and put the discourse of climate change in a bigger picture. to save our environment is to develop deep love and compassion, of oneself and all beings. in order to move our awareness to climate change and saving mother earth we need to develop a new consciousness that respects natural values and honors nature and other species. one who thinks about solar power, ecological farming, biodiversity and fair trade, not only sees figures and numbers of co2 and dollars but, sees emotions, values and a vision of society. it is about sense. maybe you can say spirituality is the search of sense and meaning in this chaotic world. this is the basic concept of ayuryoga ecoashram. 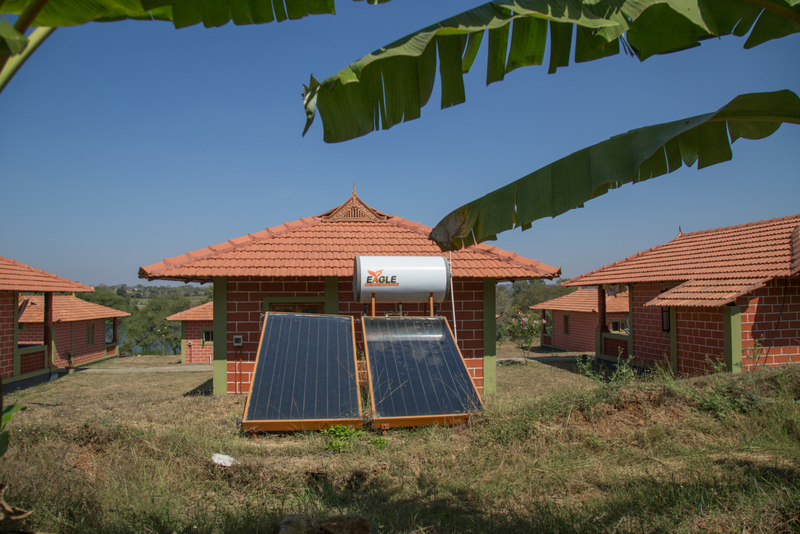 the founder, krishna, told me about his concept that is based on permaculture principles. 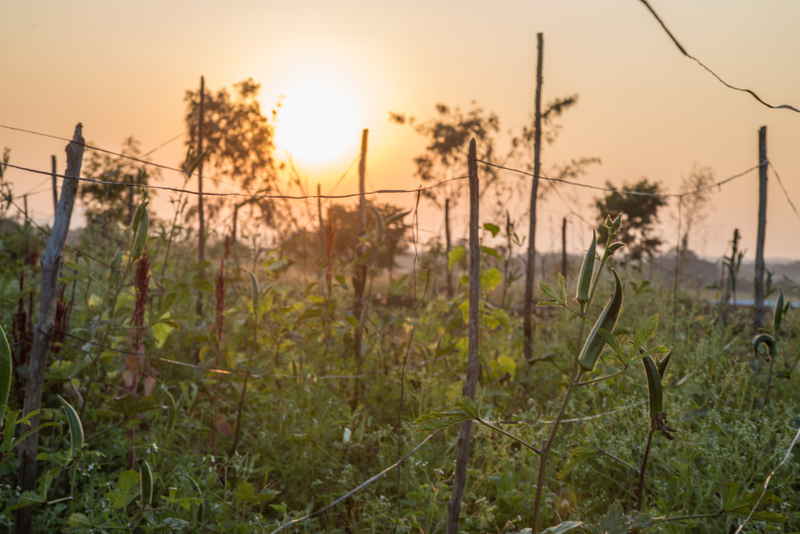 as an ecological design system, permaculture focuses on the interconnections between things as a whole and not so much in individual parts. in india, this method is still a very new. he is trying to implement 12 principles in designing the campus. the project started 3 years ago. after krishna lived in different ashrams for the last 18 years, he finally found the right property located at the riverside, close to mysore. the land was barren and had gone unused for years. 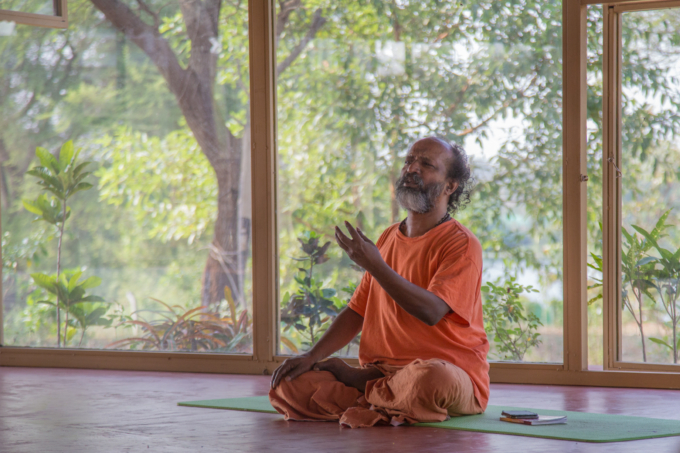 he wanted to create a place where yoga can be practiced and used as a technique; training equipped with philosophical and spiritual roots, a way of life beyond the mat without it being seen as fanatic or as a religion. he also wants to cultivate teachers to become ambassadors of peace, by sharing asanas, pranayamas, meditation, yoga nidra and right diet for today’s world which is filled with conflicts and stress. in addition his aim is to create a platform where different people can exchange knowledge, live in a low earth impact and climate friendly way. 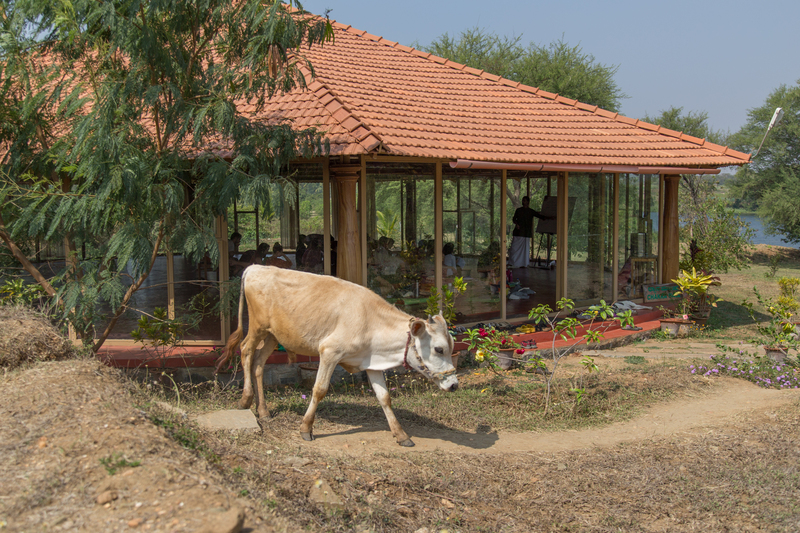 utilizing an experienced permaculture designer, the property was built up in a way that organic vegetables can grow on fields and feed the hungry yoga students. a sacred forest of 1000 medicinal plants and fruit trees was planted. 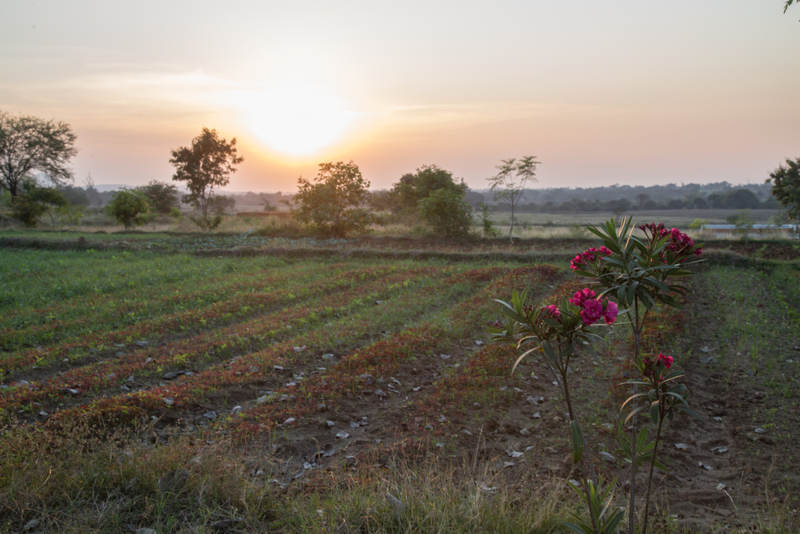 the mission is to reintegrate old medicine plants that almost disappeared in india, in order to produce their own medicine required for the ayurvedic treatments. the forest includes a very special pattern of planting the trees based on 27 moon signs and 12 zodiac signs, as described in vriksha ayurveda. at the moment they are starting a shelter for cows, which are organic, grass-fed and native cows, to use the milk for in-house consumption and urine/waste compost as an organic fertilizer for farming. the business with self healing and ayurveda is growing fast. more and more westerners are interested in learning from indian tradition. 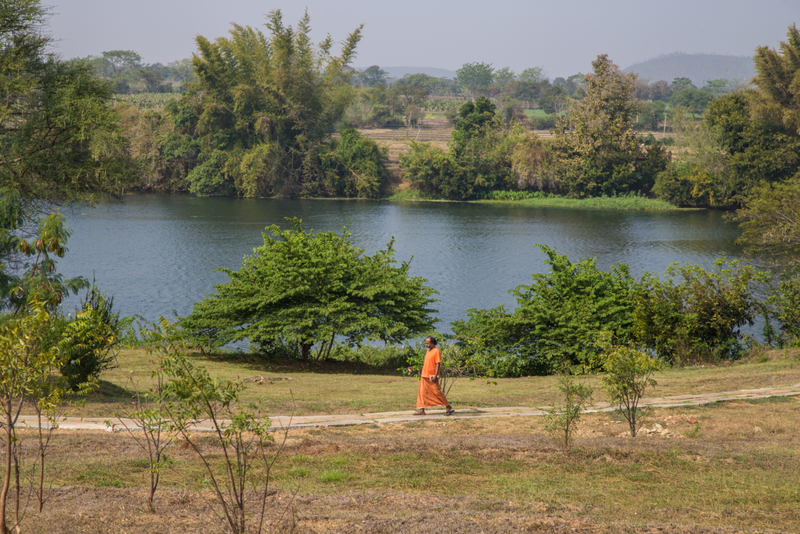 two different houses are under construction in the ashram, where in the future more people can be hosted, and a bigger variety of treatments will be introduced. the buildings are made from clay bricks that have been dug from the ground close to the ashram. after they are stacked on each other a lacquer is put on to protect the construction from rain and sun. all water comes from a dwell and the water for showering is heated by sun collectors. the guests are living in double or single bungalows, which houses a total of 40 people at one time. the dream for the future is to help the surrounding villagers by training them on the principles of organic farming, create employment (especially for women), providing clean water through bio-sand water filters, assisting in building sanitation facilities and teaching english and computer technology for the local children. 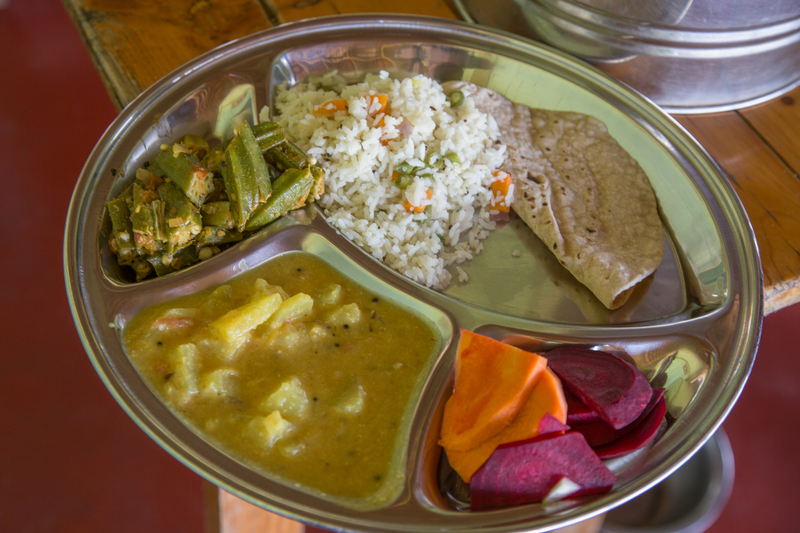 if there were more available space and houses to host people, there will also be an exchange program to host people who help building up the ashram in exchange for food and shelter. 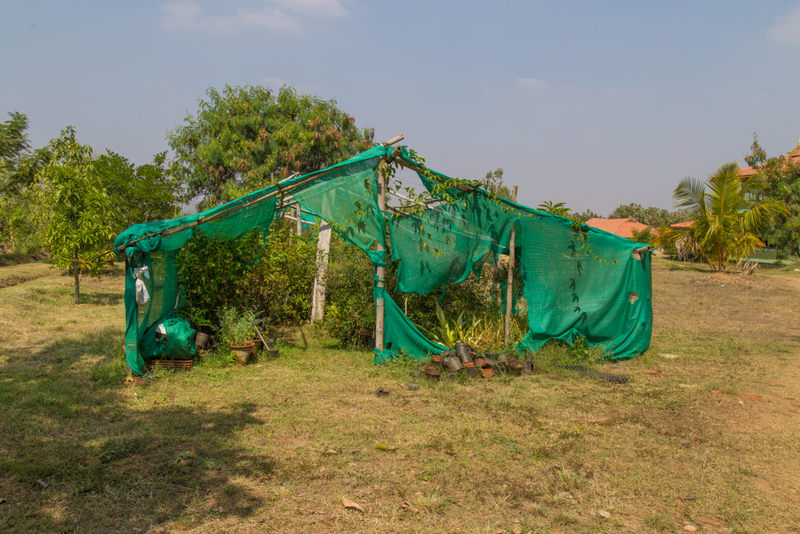 at the moment all helpers are indian and for a certain period of time there is a permaculture designer that plans how to implement new designs. the next plan is to install compost and build up the soil. my time at the ashram was very focused on self development and being at ease with myself. having a peaceful mind and sharing that energy is a key for the protection of the environment. although it has some capitalistic traits, the work of the team in the ashram is such a valuable gift to improve upon the world by influencing every customer.